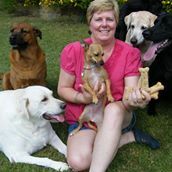 Read Dog Training Testimonials about Kathrine Breeden of Be Kind to Dogs or submit your own testimonial! Did you have a great experience with Kathrine and wish to share it? We would love to hear from you! incorporating positive reinforcement, to yield great results. She has helped many of our clients and their pets.She has helped many of our clients and their pets. We are so happy she uses gentle, effective methods." 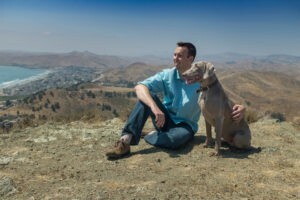 As a mobile vet, I find that many training issues and behavior problems are best addressed when and where they occur. Kathrine helps educate owners so that they can achieve the best behaviors from their pets. I have had nothing but good reviews from clients." 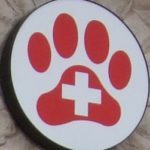 As a veterinarian, our goal is to provide the best and most compassionate care to all our pets. We see a lot of stressed animals and clients. Having hand outs and appropriate knowledge in handling is of the utmost importance. Kathrine was like a breath of fresh air. Her genuine personality and her willingness to share her knowledge was so refreshing. My clients speak very highly of her and even find more enjoyment with training their pets. Her library content and handouts on her website are great as well as her Facebook page. She has provided valuable continuing education to my facility and a new awareness of what we can do to strengthen the human animal bond. She is very educated and a great addition to anyone that wants to see the benefits of TRUE positive reward based training." 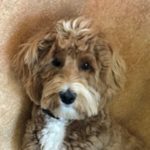 She uses all positive training methods and has great advice on different products to use to help train your dogs (harnesses, toys, leashes, etc). Definitely give you a call if you are having any issues with your pets and need help. You will be amazed at how many things you were doing wrong and how Kathrine can help turn that around for you." that’s what we all do every day. So fun to do it with a sweet pup alongside. Ten months old and people comment how well behaved he is. I can let him off leash couple houses from us, ask him to go "home" and he does it even with ducks and rabbits nearby. We have joined a dog walking group, who meet at end of our lake, yes he still wants to play but acts more like an adult. We have a new member who I am giving your card. She has a 12 wk. old golden doodle that is driving her crazy. She lives in a multi story condo and needs help, hope she gives you a call." We have had multiple issues with training our littermate puppies, helping foster dogs adjust, and helping integrate a neglected dog into our household. 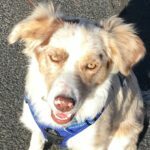 Kathrine has helped us with teaching our dogs proper behavior when coming in and out of the home, using crates, going for walks, entering the dog park. We had a foster dog who was very uncomfortable around children (and we have 6 kids!) and by the time the foster dog was adopted, she was comfortable around kids and was very ready for a new happy life with her new family! There have been times when I've been in tears, at my wit's end and Kathrine has responded to my calls/emails quickly, given us quick suggestions and long term solutions. When we follow her advice, it has worked out beautifully every time! Amazing results!- opened our eyes." We have two rescues and our female had a lot of anxiety issues and other issues we couldn't figure out on our own. Our male had a few things we wanted to improve on as well. She did a terrific job explaining everything. I loved having homework because I was able to work with my dogs on my own daily. She would meet me at locations to practice and work on the things we wanted to improve with our dogs. I learned a lot about my dogs body language and what to do and not to do. She really helped my dogs a lot and I couldn't be more thankful! All training takes times and patience. It all has to be done in baby steps. Our dogs are doing wonderful and I am so glad I met her and my dogs love her! I def. recommend her and I called several other trainers too, but she stuck out to me. She is the best trainer I recommend anyone to her! She taught me a lot!" We had to take Mojo in to the vet. We asked to avoid all dogs but they failed to do that. When they called us into the lobby (from the truck) there were still a couple of dogs in there on leashes with their owners. So we went for it. Had to walk him through the room, weigh him and walk him out to the examining room with the 2 other dogs. He was very excited BUT he did NOT melt down, bark crazily, try to chew his way out of his leash or any of the other non-sense he usually does. And instead of lunging at the others he just sniffed them and said hi. So excited I can hardly stand it. 🙂 I just wanted to give you some details before I sing your praises to the whole big Facebook world!!! I know we have a long way to go but I'm so excited for the progress. T H A N K - Y O U! Susan Tharp, Apache Junction, AZ. Client. Her training techniques and positive approach have helped my precious Charlotte - an 8 year old puppy mill rescue - learn that this world is not so scary. I'd feared that Charlotte may not become housebroken but once we started working with Kathrine, Charlotte is now letting me know when she needs to go outside - YEA!!! She has given us wonderful ideas to help Charlotte grow and learn in ways I'd only hoped for and now see as a reality. It’s wonderful to watch this little one learn that being a dog is fun and life is enjoyable. I could never have done this on my own and cannot say thank you enough times to Kathrine!" We got our very smart Border Collie mix rescue, Leah, at 2 months old, and she was herding me from the beginning and not in a fun way; biting my ankles, jumping at me , jumping on people, nipping, pulling on the leash, and as she grew more issues developed , but with the guidance of Kathrine we now have a beautiful well trained little girl. We have learned so much from Kathrine and will forever be grateful. Everyone should be as lucky as we are to have Kathrine in our lives!" We were very concerned about our dogs being vicious or barking too much with a new baby in the house. She taught us how to calm the dogs without yelling or causing more anxiety and also helped us learn that the dogs will respond to positive reinforcement. 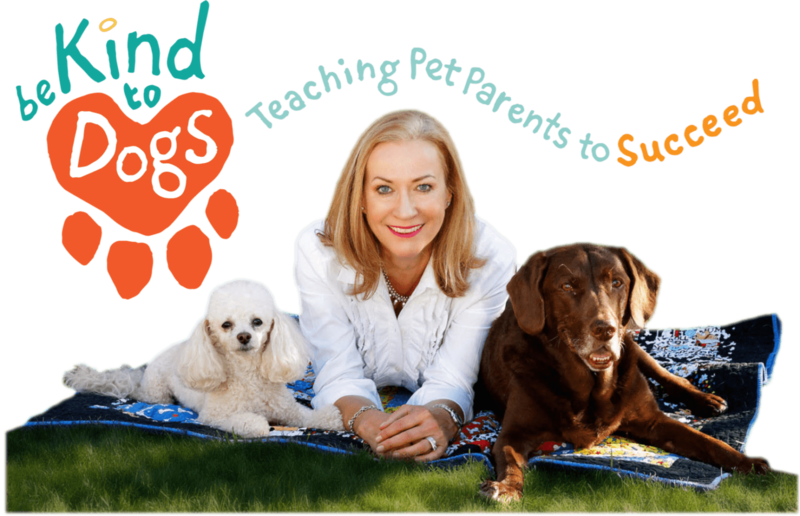 She is an extremely effective teacher for humans and so kind and patient with dogs. We walked in with our baby and we’re surprised and amazed at the response from our dogs. We are great full for Kathrine’s knowledge and help!!!! We have not had any of the problems we were worried about with our baby girl and our three dogs thanks to her training." Kathrine showed us that is it not necessary to intimidate or bully our dog and he can be the calm, happy dog we all want. Our dogs showed immediate positive reactions to the training methods Kathrine taught us and we have all begun a happy, loving journey towards a calm, fulfilling life for our family. I'm so glad we found Be Kind To Dogs!!" We are thrilled at the wonderful girl our puppy has turned into. She is so well behaved, loving and happy. In the beginning our puppy had typical "puppy issues" like biting, rough-housing, jumping etc. After only a few sessions she had a dramatic change. We owe it all to the methods Katherine taught us (that we still use everyday) and the pamphlets from the website. Thank you Katherine for all you have done for our furry family member." We have a beautiful Border Collie mix puppy called Leah, and she is full of personality and all puppy. She was herding us, or should I say biting our ankles, not fun, and pulling my arms out of my sockets when we walked. With Kathrine’s help, Leah is walking like a lady, not biting us anymore and learning to politely say hi to people. 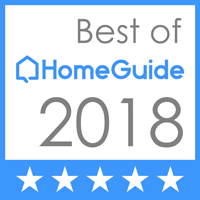 Without Kathrine’s help we would have an out of control dog and out of control parents, so I would highly recommend Kathrine to anyone." Contact Kathrine to make your personalized appointment today!